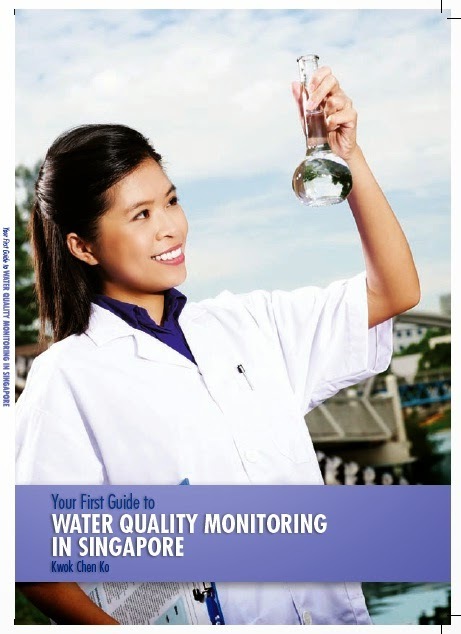 I happened to read your blog http://waterqualityinsingapore.blogspot.com/ and I was wondering if you could help me with my project, "Study on the Effect of Poorly Maintained Water Filters on Water Quality". You mentioned that you did a project on the effectiveness of water filters, could you share the research paper/report with me? I will definitely acknowledge the source under my report so not to worry. 1. Do you have any opinions/comments/inputs with regards to my project title? 2. Why would people still buy water filters although our tap water is well within WHO standards? 4. What kind of water filters are being sold in Singapore and which are the ones that are more likely to be poorly maintained? I would certainly very much appreciate it if you could help me out. 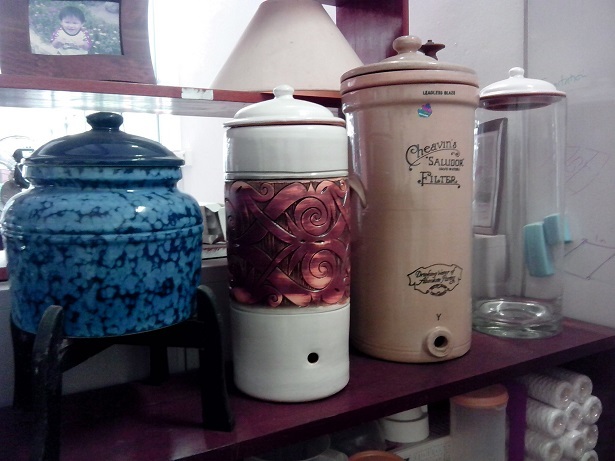 More information about water filters may be found in my earlier posts. My project on testing the effectiveness of water filters is still on-going so I am not able to share the results with you at the moment. If all goes well, it should finish by Feb 2011 and I will post the results on this blog. Your project will certainly be useful and of interest to consumers of water filters as this is a poorly researched topic with even less publicity on the results from the few studies on said topic. As you ask, why are people buying water even though our tap water is well within WHO standards? I am afraid you will have to conduct a consumer survey to find the real answer(s) but I shall offer my perspective here. 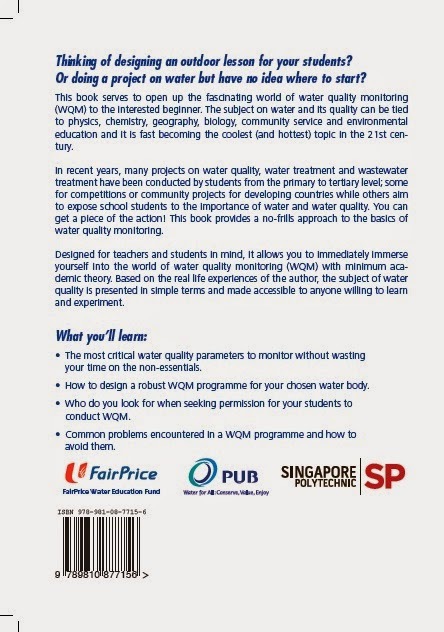 First, from a scientific point of view, the WHO standards for drinking water are not all encompassing and do have their limitations. Under the standards, the limits for certain chemicals in water are set because that is the best our latest technology can detect. Say chemical A can only be reliably detected at 5ppb (parts per billion) using the latest and best instrument X. Therefore, 5ppm is set as the WHO standard. This of course does not mean that chemical A is harmless at 5ppm. Sometimes, chemical B may be harmful at 2ppb but because our water treatment plant can only economically reduce its concentration to 2ppb, 2ppb becomes the standard for chemical B. WHO standards set limits for about more than 100 parameters but there are easily tens of thousands of chemicals out there. Can you be sure that these chemicals are not in your water and if they are, they are harmless? The standards mostly cover single chemical substances. In many cases, mixtures of substances (e.g. heavy metals) can actually exert a synergistic effect, making the cocktail more deadly than the sum of the individual components. However, water regulators are starting to wake up to this fact and steps have been taken to categorise several substances into a single group under a single standard. To be sure, most of the toxicology studies on which a limit is set are based on animal studies. Let's say chemical C has no adverse effects on a guinea pig population at 1ppb so 1ppb is set as the standard. (This is grossly simplified for illustration purpose.) Can this 1ppb be translated to humans? This can go both ways - the value can be higher or lower in humans but nobody knows for sure. Even for those rare standards based on human studies, a large percentage of them are still short term studies. Who can be sure whether the same chemical D (supposedly safe at 3ppb for a month) will be safe if consumed for 30 years? More than scientific facts, the most important element in sales (as any good salesman should know) is psychology. Show the consumer a high-profile example of person poisoned by lead (or substitute your least favourite chemical here) in drinking water, you will have the masses starting to show concern about their water and whether they should get a filter. This is notwithstanding the fact that the high-profile case may involve extraordinary circumstances not shared by the majority. Or more often than not, a latest piece of research may publicise that toxic chemicals are found in drinking water. Yes, this should push the panic button of many people and herd them towards the latest filter. Don't get me wrong. I am not against water filters. But people should be rational about such purchases and should never buy based on fear or peer pressure. Again, you will have to do a consumer survey to find out the truth. But I suspect most consumers do not keep track of their water use as conscientiously as they should. Most water filters are rated for a certain capacity (e.g. 1000 gallons of ordinary tap water) before replacement. Or perhaps you can say that most water filters not as well designed as they should as there is no meter or indicator when the 1000 gallons have passed through it. To make things simpler for the consumer, some filter suppliers have specified a timeframe instead e.g. the filter should be changed every 6 months. Again, this can be misleading as the usage of the consumer can vary. A family of 4 filtering 10 gallons of water a day is quite different from an extended family of 10 requiring 25 gallons a day. However, I have also seen some filter models incorporating an indicator that change colour when it is time to change the filter. I have not tried these models but they should be useful if they work as claimed. Unlike in certain countries, the household filters here are mostly of the point-of-use type that does its filtration at the point of discharge (tap). Not surprisingly, the low-end ones are rather popular. They may come in the form of jugs or faucet attachments. Slightly more expensive will be the counter-top and under-sink models. These filters mostly consist of a sediment sieve, an activated carbon packing and possibly a ceramic piece or plastic membrane. The higher end ones will involve reverse osmosis (the same process used in Newater treatment). Ultraviolet units are rather rare. Ditto for distillation units and deionisation units. (I am using the term "filters" loosely here as some of the above items are strictly speaking, not filters.) In recent years, air-to-water units (e.g. Hyflux dragonfly/dolphin) have come onboard the water filter/purifier market. In my opinion though, they needlessly use energy to produce clean water and are excruciating slow to produce a decent amount of water. Again, a consumer survey will be useful to find out the answer but I bet the more unwieldy and troublesome to change the filter, the more likely it will remain unchanged. Hi there, have you ever heard of the espring water treatment system? It combines Ultra-violet Light and Carbon Filter Technology to treat water from your home. And also monitors the amount of water and when to change the filter through Smart Chip Technology. Do search on it, cheers!